Our first photo shows the Istanbul Gate from inside the city wall. The gates of the city are named much the same way many streets or highways are named in USA cities, to designate the next significant city in that direction. 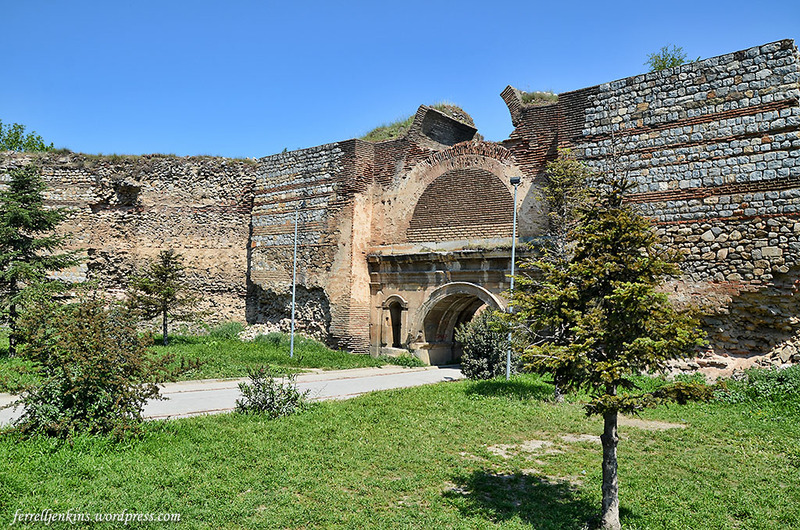 A portion of the wall of Iznik/Nicea and the Istanbul Gate in the north wall. Photo by Ferrell Jenkins. A nice promotional brochure on Iznik, published by the Republic of Turkey Ministry of Culture and Tourism in 2011 has these comments about the walls and gates. The pentagon shaped city walls that surround İznik are 4970 metres [about 3.1 miles] in length. Although these city walls were constructed in the Hellenistic era, they have lost all the characteristics peculiar to this era. Only the wall parts constructed in the Roman and Byzantine periods have survived to the present. In the 8th century, the city walls were made higher and the bastions were built by using the construction materials brought from the theatre. From the outside we see a portion of the Istanbul gate as one enters Iznik. 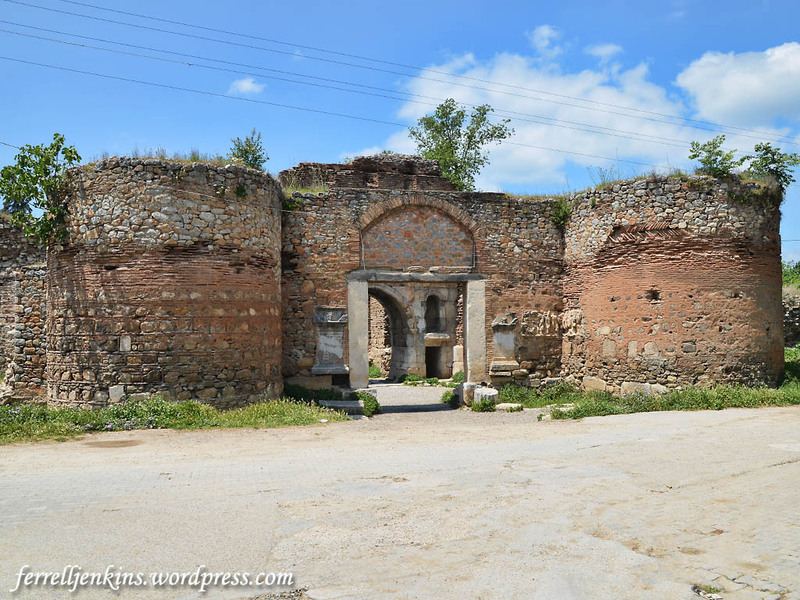 The Istanbul Gate in the north wall of Iznik/Nicea. Photo by Ferrell Jenkins. 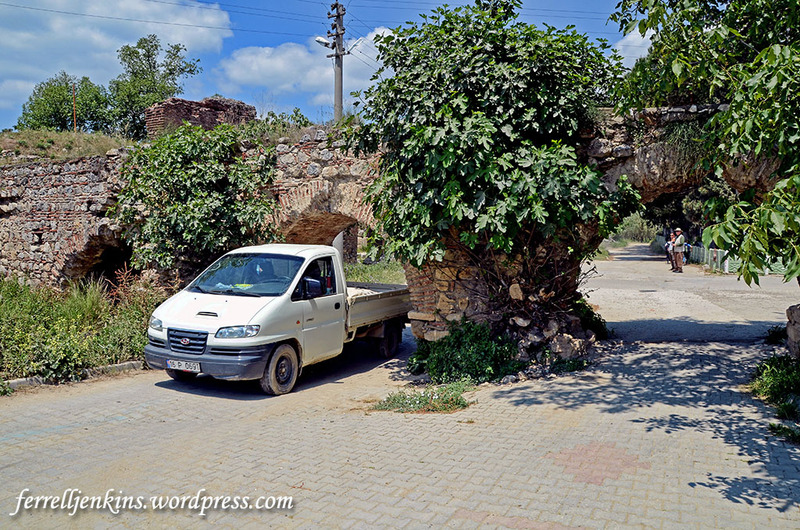 The Yenişehir Gate, marking the south entry to Iznik, is still in need of considerable repair. Several of the old towers are visible at various places around the city wall. The Yenişehir Gate on the south side of Iznik. Photo by Ferrell Jenkins. 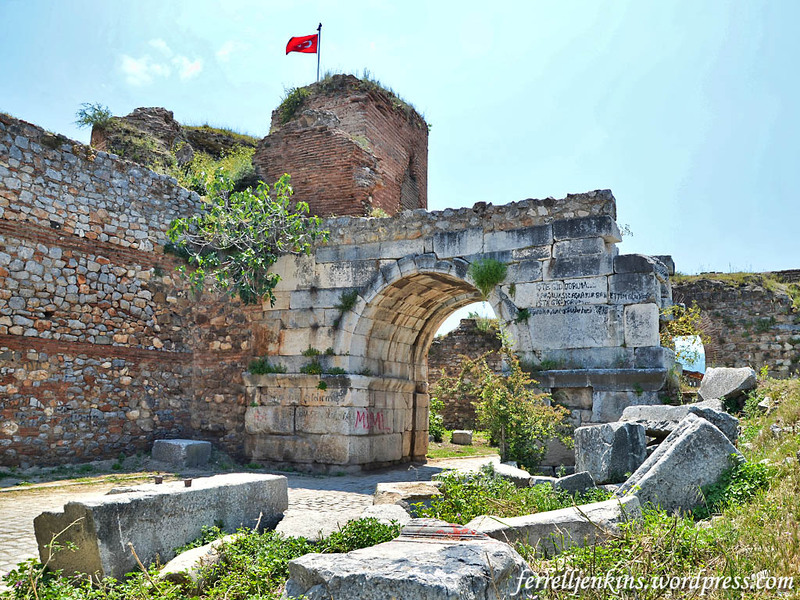 The Lefke Gate on the east side of the walled city of Iznik is probably the most interesting one. First we see ruins of an ancient aqueduct. 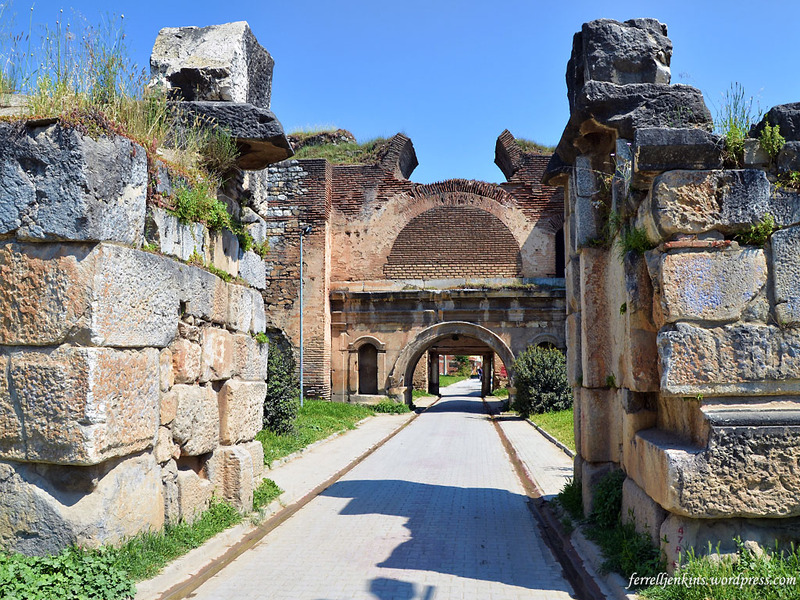 The Lefke Gate Aqueduct on the east side of Iznik. Photo by Ferrell Jenkins. Then we see the outer Lefke Gate. There are numerous examples of recycled materials in this gate. The Lefke Outer Gate. Photo by Ferrell Jenkins. The first of the inner gates have Greek inscriptions showing that it was dedicated to the Roman Emperor Hadrian in A.D. 123. Roman period inscriptions are visible in the Lefke Gate. Photo by Ferrell Jenkins. There seems to have been no restoration of the Lake (Göl) Gate, but some portions of the towers and walls can be seen. Ruins of the Lake (Gate. Photo by Ferrell Jenkins. 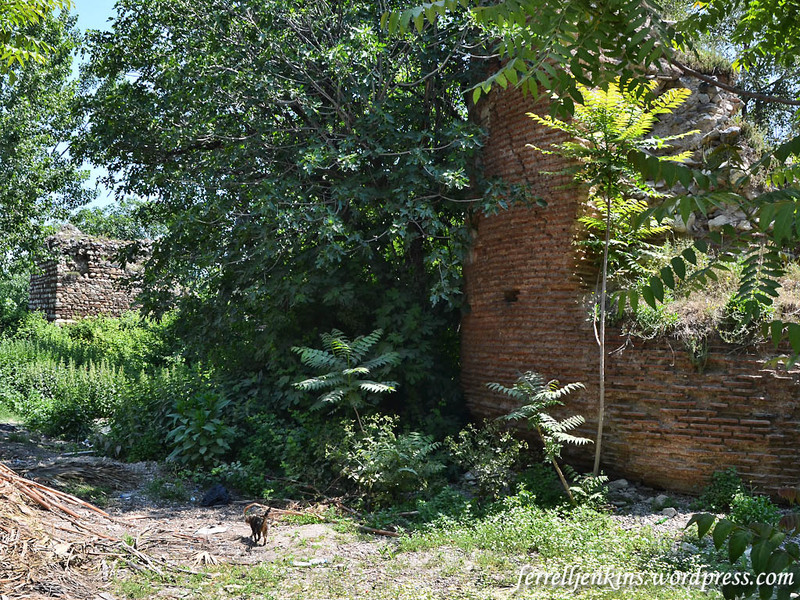 We will stop here and continue in the next post to show you a few other important structures in Iznik/Nicea. 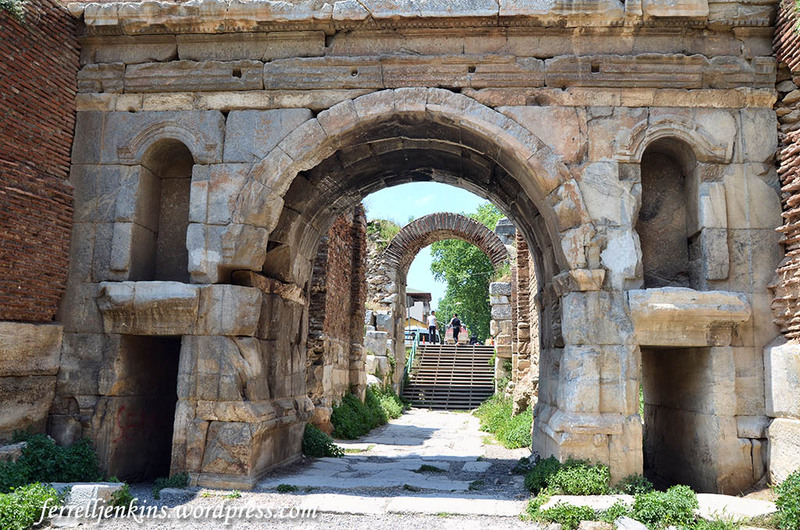 This entry was posted in Bible Study, Church History, Photography, Travel, Turkey and tagged Roman Emperors. Bookmark the permalink. Thank you for this very informative and interesting series—and beautiful photos!